The famous gadget manufacturers, Samsung is coming with more and more products everyday. And the KErala markets have been their one of the favorites. As a result of this every new gadget available in the market will be first seen in Kerala markets. And now, Samsung has relelased a new smartphone in August,2012, which is called Samsung Galaxy S Lightray 4G. The device was announced in this month itself and came to the markets with a tough taeget. And they have included different cool features to make it a real competitor. The thing is the Samsung Galaxy S Lightray 4G is a completely 4G devcei, and this is the feature that makes the device different from other smartphones out there. In this article, we will see the different features of the new smartphone from Samsung, its pros and cons and finally, its price and availability globally. The Samsung's new device can be considered as a smart device and the internals of the device plays an important role in makin the device a real smartphone. The device comes with the pre-loaded Google's moblie OS, Android v2.3, Gingerbread. And we don't really know, why they have decided to go with the Gingerbread, but we can expect an update to the latest ICS or Jelly Bean. The system runs on 1GHz processor that will surely make it butter smooth in perfomance and other stuffs. In case of the storage memory, the Samsung team has not shown any shortage. The Samsung Galaxy S Lightray 4G comes with an interesting storage option that the device comes with an included 16 GB of storage and can be expandable to 32 GB. One of the major plus point of the device is that the Samsung Galaxy S Lightray 4G has got pretty decent display features. The screen of the device measures about 4.3 inches diagonaly, which is quiet large compared to other smart phones. They have also managed to include the Super AMOLED screen to the device to provide the maximum to the user in case of the Display. The screen of the device is of TFT capacitive touch screen, which also supports multitouch, which is not even necessary to say. They have provided 16M colours to provide more aggressive and accurate reds and greens to the device. The device has got pretty got designing. From the first look itself the thing will be clear that the device is a perfectly designed one. The device has interesting dimensions, as, 130x68x12 mm and will weigh about 138 grams. Although they have given good processor and display features, they have also made the decision to give equal importance to the camera faturs too. And in Samsung Galaxy S Lightray 4G, they have provided dual shooters. The one in the rear is of 8 megapixels which is a nice option. It has got a LED flash to enhance the image capture experience, and will halp the user to capture quality pictures in low light too. The camera can capture an image of resolution 3264x2448. The device has a secondary camera which is placed on the top front portion. The one in the front is of 1.3 megapixels, which is ideal for video chats and being a 4G smartphone, the secondary camera is a vital option. The Samsung Galaxy S Lightray 4G can capture video in 720p which is pretty good feature. It has got Geo-tagging along with the good quality camera. The Samsung Galaxy S Lightray 4G is becoming different now from other smartphones, not only because of its camera and processor and also due to its impressive connectivity options. The device has 2G and 3G connectivity. But it lacks GPRS and EDGE connectivity. The major attraction of the device is that Samsung Galaxy S Lightray 4G has got 4G LTE connectivity, which is pretty fast compared to the current 3G connectivity. The device has Wi-Fi connectivity too. The Bluetooth connectivity of the device is quiet impressive too. It has got Bluetooth v3.0 enhanced with A2DP. The Samsung Galaxy S Lightray 4G has also microUSB connectivity too of v2.0. It has retractile antenna too. The device has got some other feautres too. The default browser of the device supports both HTML5 and Adobe Flash. Its features are enhanced by including GPS to the device with A-GPS support. It supports Java too, via Java MIDP emulator. It has an HDMI port too. It has Accelerometer, proximity sensor and compass. The Samsung Galaxy S Lightray 4G comes with inbuilt application for video/image editing. We have seen some features of the new smartphone from Samsung ,which is Samsung Galaxy S Lightray 4G. The device will be priced around $459. The device is expected to be available in stores from August 2012. 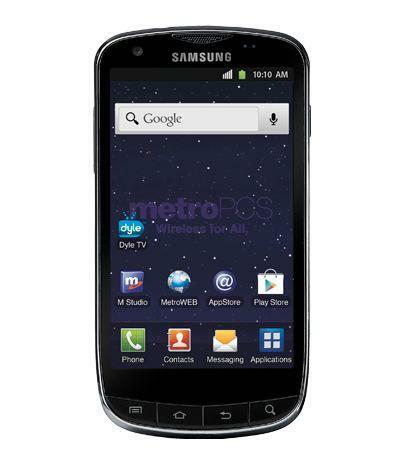 The device is for MetroPCS and this is not a GSM device . It will not work on any GSM networks and that is the major disadvantage of the device. Are you looking for the review of Samsung Galaxy S Duos? This is the new smartphone of Samsung. 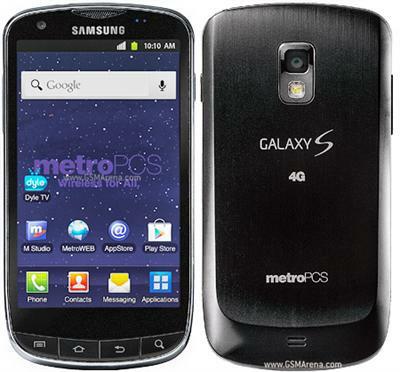 Read this article to know about the features, specifications and price of Samsung Galaxy S Duos.